About us - Brief history of A. A. Stádium Ltd.
Four people founded the predecessor of our company, the Stádium Gmk. in 1985. Condition monitoring engineers of a giant oil company had started their own venture, where they worked in overtime, and on weekends. Adapting to changes, in 1991 we changed the form of our company (to Ltd.), started to employ people, and extended the scope of our services. In the same year – realizing the information shortage in the condition monitoring profession – we organized our first condition monitoring (Diagon) and Maintenance (Energorep) conferences. In 1993, we opened our first engineering sub-office in Oroszlány, besides the headquarters in Szeged. In 1994 we opened our engineering sub-offices in Budapest and Szombathely, and this was the first year to publish our „Maintenance and Condition Monitoring” (Karbantartás és Diagnosztika) journal. In 1995, the sub-offices in Miskolc, Budapest, and in 1996 Dunaszerdahely (Slovakia) were started. Later we opened one in Kosice (Kassa) too. 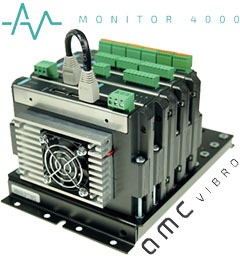 In 1996, we implemented engine current analysis performed by MOTORMONITOR expert system to our condition monitoring service portfolio. 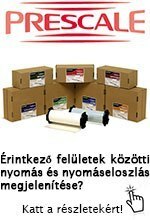 We are still the only company capable of doing such examination in Central Europe. In 1998, our company bought the leader of the AGEMA thermovision equipments list, the THV 570 camera, and later in 1999, the latest ThermaCAM SC 2000, that helped to extend further the already complex portfolio of our services. In 1998, we entered the maintenance management market segment after several years of conscious preparation. In the course of years, the number of our employed increased from 4 to 24, we reached approximately 65 % market share in the Hungarian condition monitoring service market, we have published articles in several journals, held presentations in many domestic and foreign conferences, held lectures on universities, had plenty of students writing their thesis with our partnership, took part in research and development projects. We believe, we can also make you, and your company more successful. Our company has grown out from the oil- and gas industrial plant in Algyő, near Szeged. We have been working in the section of engineering services since 1984. Realizing, how unbelievable waste maintenance based on „fire fighting” and periodic repairs caused, and how easily lavishing resources could be decreased, we have founded a venture. We set out a goal to help our partners develop their productivity and maintenance to world class level, not only using, but creatively developing further already top class technical and methodical solutions. Several presentations held three continents wide and more than 150 publications appeared in prestigious journals reflect the success of our efforts. It is our principle, that our writings are never created using „scissors”. Our history started in the heroic age of ventures. We do not belong among those companies, who got expensive equipments and tremendous amount of work order from state-run companies, as a „gift of friendship”. No multinational firm treating engineering services as a marketing material stood behind us either. We achieved everything in the midst of market rules and hard fought battles. Starting with as few as 8000 HUF capital, we overwhelmed domestic and often foreign competitors one after the other. However the road was hard, we grew strong. We compensated „godfathers” with quality and precision. This is our true strength. In the beginning, we concentrated on vibration analysis and equipment adjustment activities, later we flared continually. Thermography, motion animation, engine current analysis, leak detection followed. 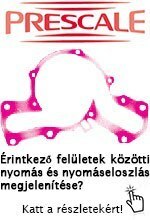 Between 1990 and 2004, we organized series of conferences, and published the Karbantartás és Diagnosztika (Maintenance and Condition Monitoring) journal. This activity had to be given up – with sad heart – due to the decreasing amount of payable demand. In 1996, finally we reached to that strategic level, where instead of the quite efficient partial solutions, we could concentrate on the whole. First, maintenance management, later production development consultancy activities have started this period. Up today, we are definitely the primary maintenance and TPM experts, consultants in the area, but we are also among the leaders of Lean, 5S, etc. „Japanese system” and CMMS implementers. Our motto could be „adaption, employee-closeness and practicality”. The company is owned by two individuals: dr. Péczely György and Vincze János. To help our partners to increase their productivity notably. Doing this, with no investments and fast return (less than one year), creating a solid, continually developing state. We primarily concentrate on eliminating wastes and utilizing unused potentials. The list of our references is quite long. Please see a part of it on the main page. For many long years, continually developing our knowledge and solutions, we have been exerting to be able to offer higher quality and more effective services. As a service provider, our company has been dealing with condition monitoring since 1985, and with maintenance and maintenance related development since 1998. In our efforts we strive to make the process of the maintenance, so as the production easier, more effective and efficient. Lasts for several years (formally 2..4). Actually, it does never end (because of continuous improvement). Implementation is drove by teams. Takes a lot of work. Typically, a consultant guides the implementation. The A.A. Stádium Ltd. offers complete part tasks or periodic consultations in the TPM transition as well as entire system implementation. For example, in an average industrial company employing 500 people, the implementation of TPM takes 3 years, and requires 90..140 consultant days. The complete implementation is a „coaching” project – „we give a net instead of giving fish”. We give advices, we train, check, and sometimes we help completing actual tasks, but usually the employees of the company do these. Our role is to speed up the TPM implementation, and decrease the amount and effect of occurrent mistakes, flaws. The „own” days used during the implementation, is a multiply of consultant days. In the TPM transition, it is not a few exceptional, chosen people who spend this time, much more a quite wide course of employees (from the upper-middle management to operators). Discounting the first few months, TPM implementation does not mean excessive amount of work, rather a change in work style. Usually the first year results of the implementation exceed the total project costs. The phrase training implies to practicality. After 1/3 theory section, a 2/3 practical part follows, reflecting to living issues in the company. A man coming from far away tells us what he wants – goes the saying. This can also be told about the advertiser too. But please, leave your scepticism for a moment and think of it: what could be that force, that makes ten thousands of companies using TPM?